Video for "There's More Than One Way to Eat"
What Are My Tubey Books? A colorful and educational book collection for tube fed kids and their families! My Tubey Books gives tube fed kids stories and characters they can identify with, while helping to educate, raise awareness, and normalize the many different ways that people receive nutrition. Who Are My Tubey Books For? Are you the parent of a tube fed child? A feeding therapist? Or maybe you're the grandparent, teacher, caregiver, or friend? 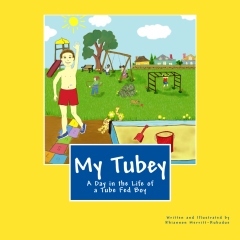 If you know and love a child with a feeding tube of any kind, My Tubey Books are for them! They want to see other children with a tube in their nose. A button in their tummy. A central line in their chest. A backpack with a feeding pump, with a line running from under their shirts. This is their reality, and they want to know they are not alone. My Tubey Books are bright, colorful, friendly, and educational. Choose one for the tube fed kid in your life and watch their eyes light up when they see someone "just like me." As a therapist working with families and children with feeding tubes, "My Tubey" is a wonderful gift!!! Tube fed children need to be able to relate to their tube as a valuable and positive piece of them for as long as they have it. This delightfully matter-of-fact story answers the parent's question "how do I help my child feel okay about their feeding tube?" And answers a child's question “who else has a feeding tube like me?” WOW, and thank you! 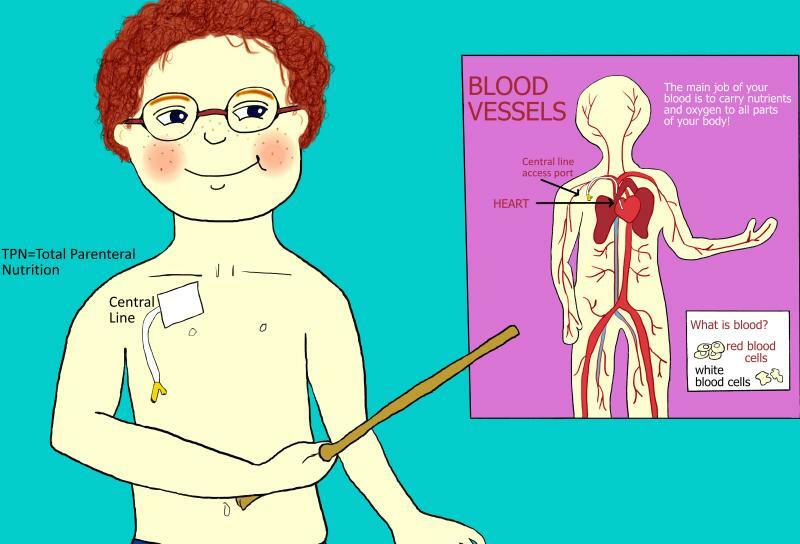 Rhiannon has a fantastic way of explaining--both in pictures and words--complicated medical information in a child-friendly way. I am so thankful to have her "My Tubey" books available in our clinic to help children and families through a difficult time. "Sarah LOVES her new book! Thank you!! She is so happy! She carried it around the house tonight..saying, 'I love My Tubey! I love my book!' Your book helped her realize that she isn't just different: She is special! THANK YOU." Copyright 2011 My Tubey. All rights reserved.